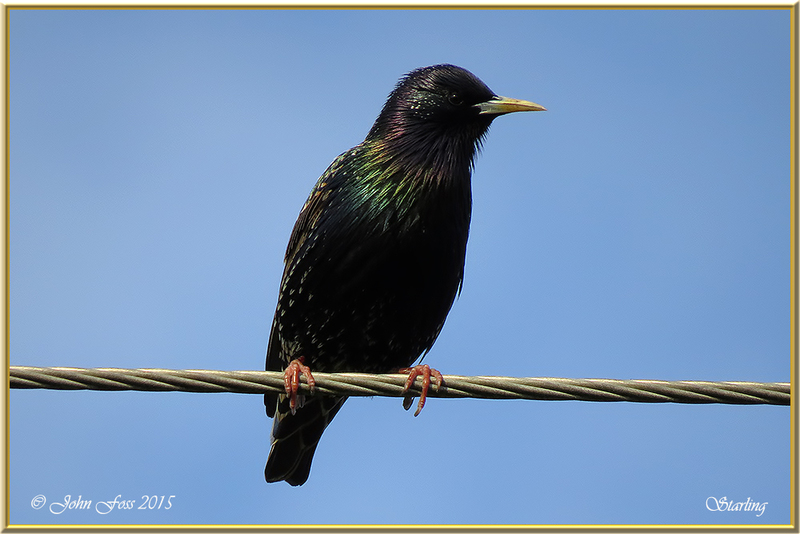 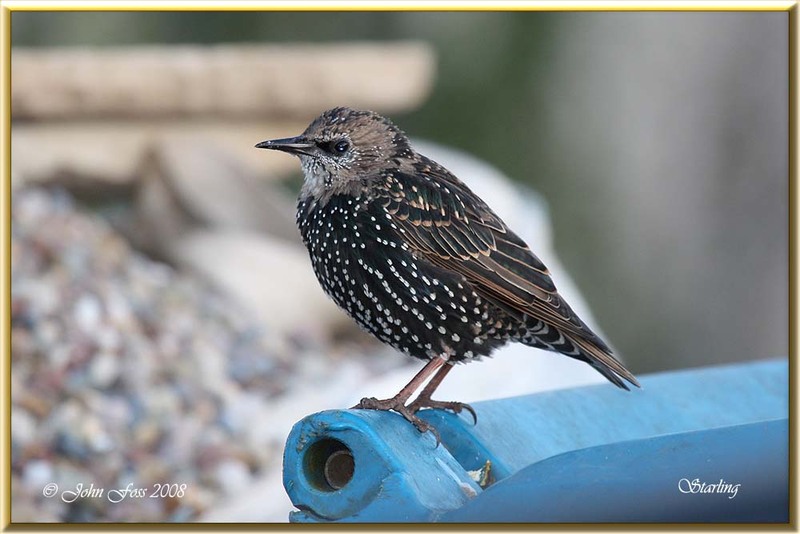 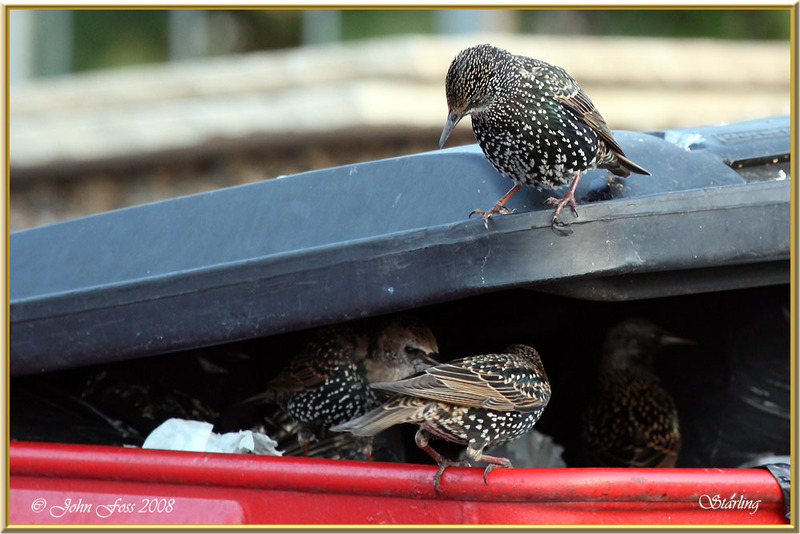 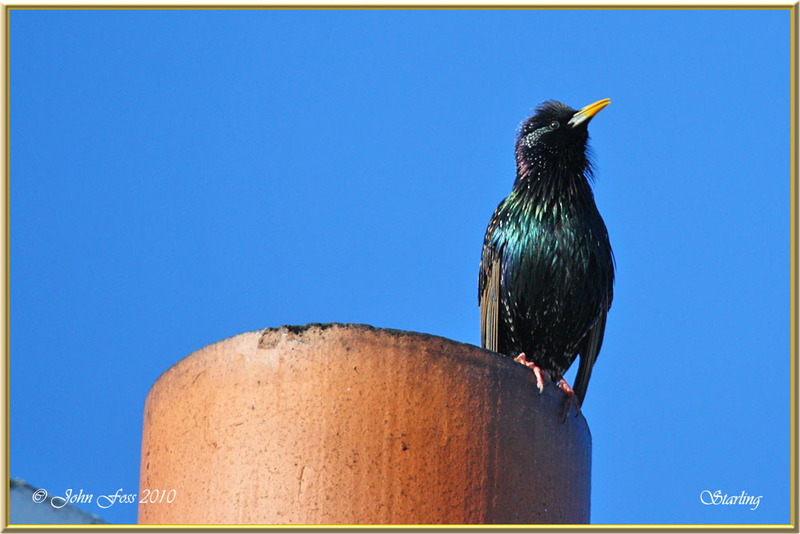 Starling - Most common around towns and villages. 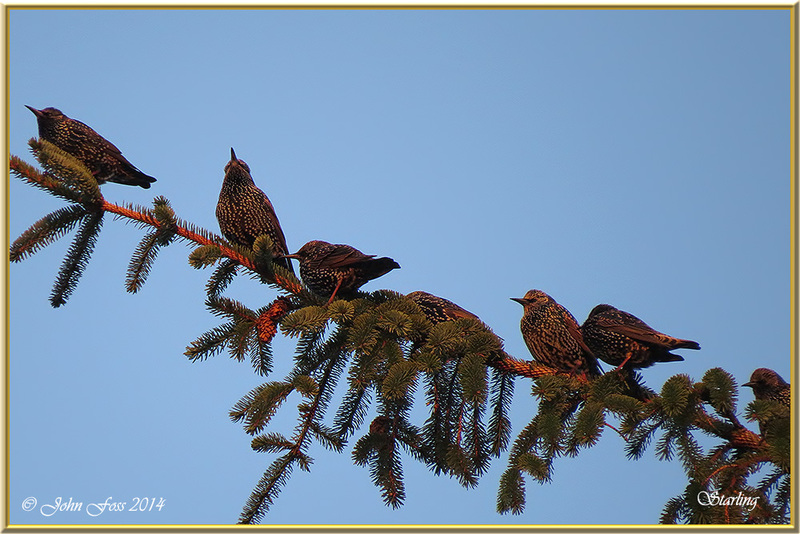 Starlings walk rather than hop. 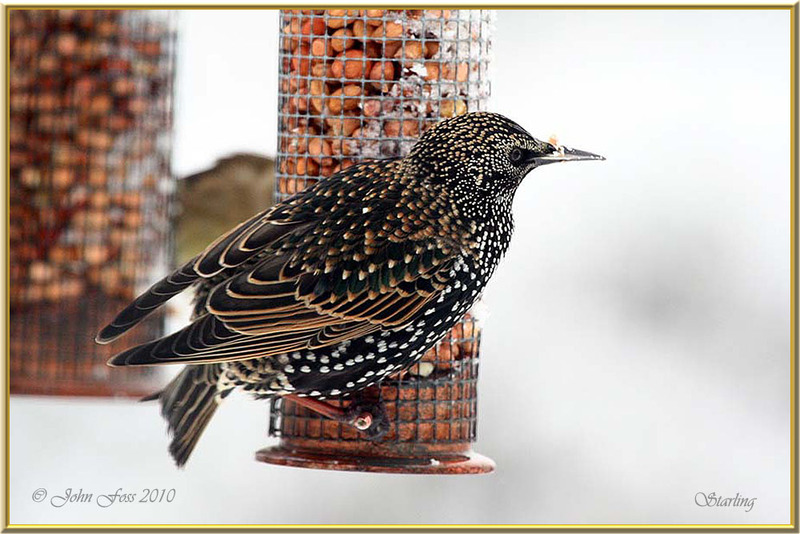 Their flight is quite strong and direct, they look triangular-winged and short-tailed in flight. 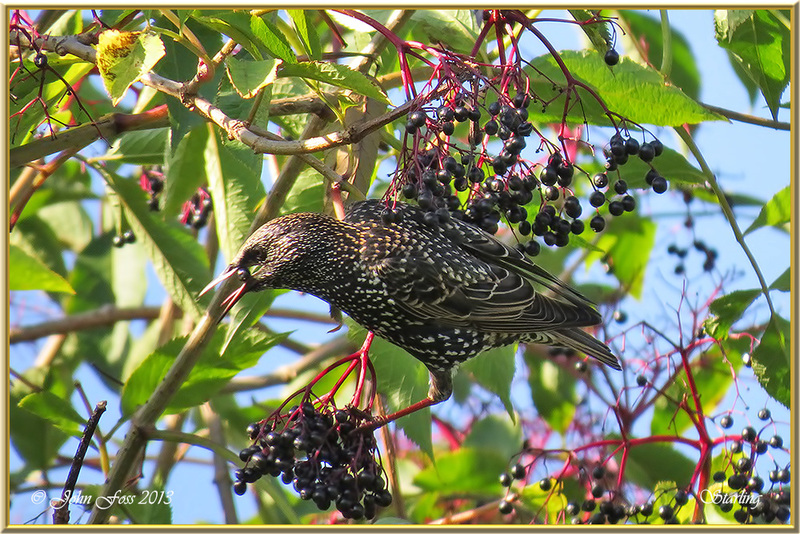 Quite famous for their gathering in tens of thousands to give mesmerising displays before roosting. 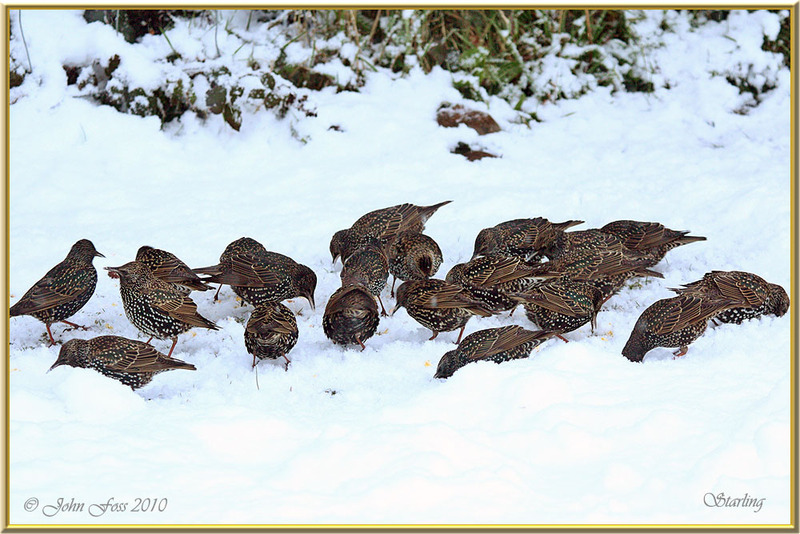 These images were taken around Counties Leitrim and Sligo.